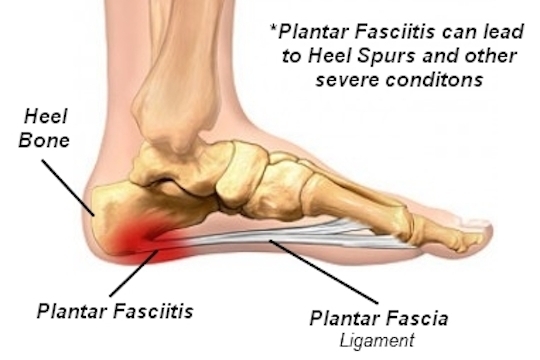 Plantar Fasciitis is a chronic pain in the heel that can just appear from nowhere but it is actually a long standing mechanical condition caused by prolonged stress on your foot. In most cases Plantar Fasciitis is a common, but very treatable, mechanical condition of the foot and responds positively to orthotics. A heel pain caused by prolonged stress on a ligament like structure in the arch that is very important in weigh-bearing activities. The tissue becomes damaged and needs to be helped to repair in order for the pain to go or subside to a manageable level. 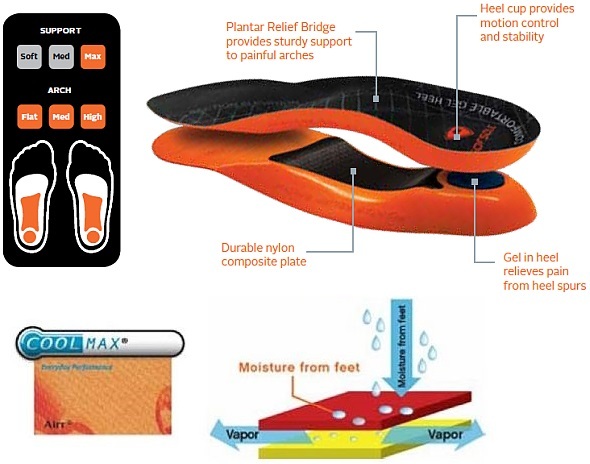 Orthotics for your feet can achieve this necessary healing for pain relief. It can be very painful, and even debilitating for sufferers. A number of factors can contribute to plantar fasciitis. While men can get plantar fasciitis, it is more common in women. You're also more likely to have this condition as you age or if you are overweight. Take up a new form of exercise or suddenly increase the intensity of your exercise. Are on your feet for several hours each day. Have other medical conditions such as rheumatoid arthritis or lupus (systemic lupus erythematosus). Tend to wear high-heeled shoes, and then switch abruptly to flat shoes. Wear shoes that are worn out with weak arch supports and thin soles. Have flat feet or an unusually high arch. Have legs of uneven lengths or an abnormal walk or foot position. Have tight achilles tendons, or ‘heel cords’.